Build brand power…with a personal touch. “St. E,” used by the St. Elizabeth community as a term of affection, reinvigorates the brand with new strength and improved recognition as the visual anchor in a print ad campaign for this highly regarded college-preparatory institution. 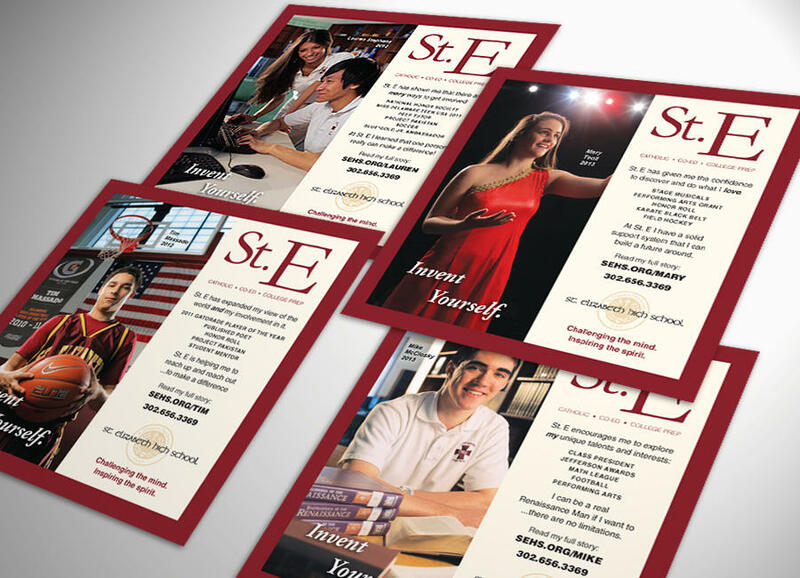 Balancing the brand’s new punch, large portraits of exceptional students telling their own St. E success stories create immediate audience engagement – and ad copy encourages viewers to learn more via expanded web testimonial pages.